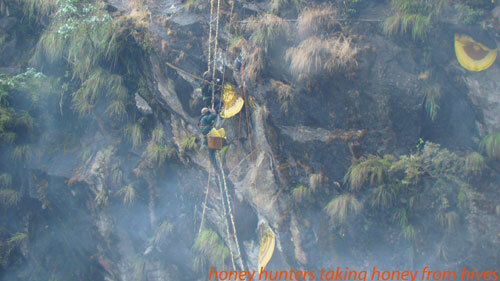 Honey hunting tour in Nepal is one of the amazing adventure tours. People with good knowledge of rock climbing can easily do honey hunting tour. 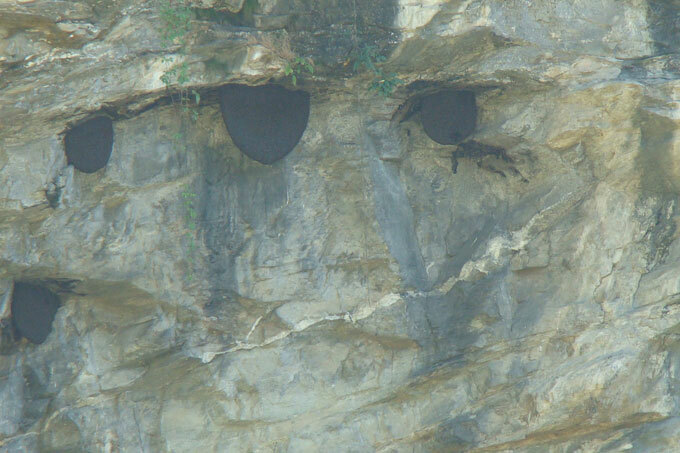 The wild honeybees make the beehives on the rock, often near by the waterfall. There are no other ways to approach to the beehives, except climbing with the help of bamboo ladder or rope. The lead honey hunter collects honey in the bucket from the beehives and passes down to another person. Honey hunting early in the morning or in the cold is best as in the cold the honeybees are not active and leave the beehives easily. 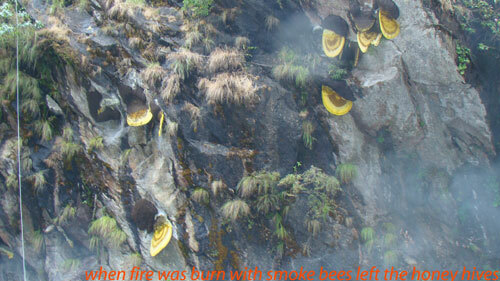 Honey hunting is very old tradition in the mountain areas of Nepal. It was the main source of sweets in ancient time when there was no sugar produced. Honey was used for medical purpose which still exists. In the past, people used to organize religious ceremony before collecting honey to protect themselves from the attack of honeybees and any misshapen. Right before the hunting, worship takes place to respect the hard work of honeybees and their contribution to the survival of human beings. The traditional way of honey hunting is taken as adventure tour in the world. But in Nepal, honey hunting is still part of traditional livelihood that is why it is more interesting for the tourists to know the Nepali traditional honey hunting knowledge and skills. Besides, the tourists can experience culture, village life and the beautiful scene of green hills and Nepali Himalayas during honey hunting tour. 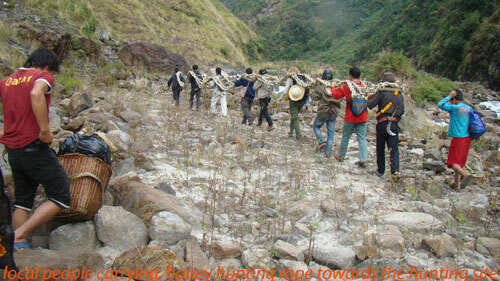 We offer honey hunting trip for the tourists who would like to observe the traditional honey hunting in Nepal. We also organize honey hunting trip for the purpose of film and documentary production and research.